This hand-carved Nativity scene is made from an alabaster-like stone called Piedra de Huamanga, which means Huamanga stone. The stone comes from Ayacucho, Peru. 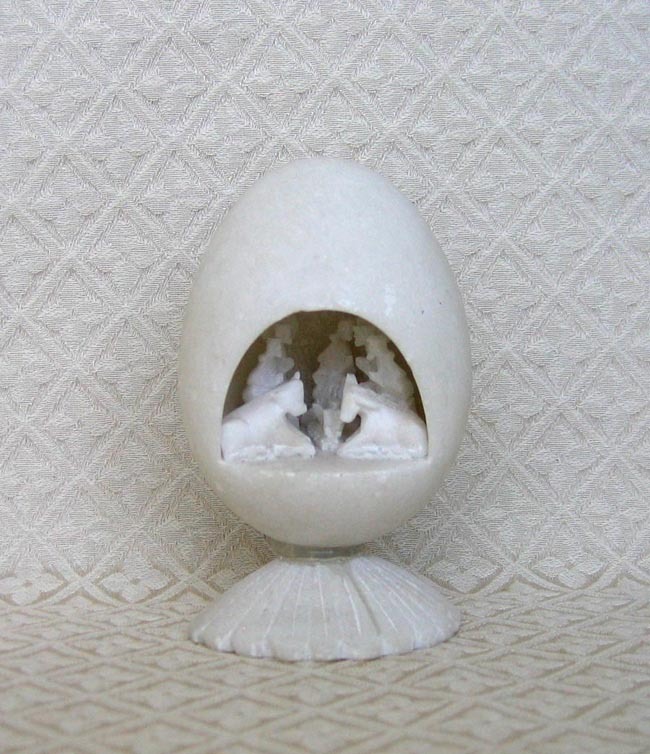 The miniature Nativity figures lie inside a carved egg. Huamanga stone carvings are typically very tiny—no larger than 3 inches tall. This larger piece measures 4.5 inches tall. The tallest figure inside the egg is 1.25 inches tall.